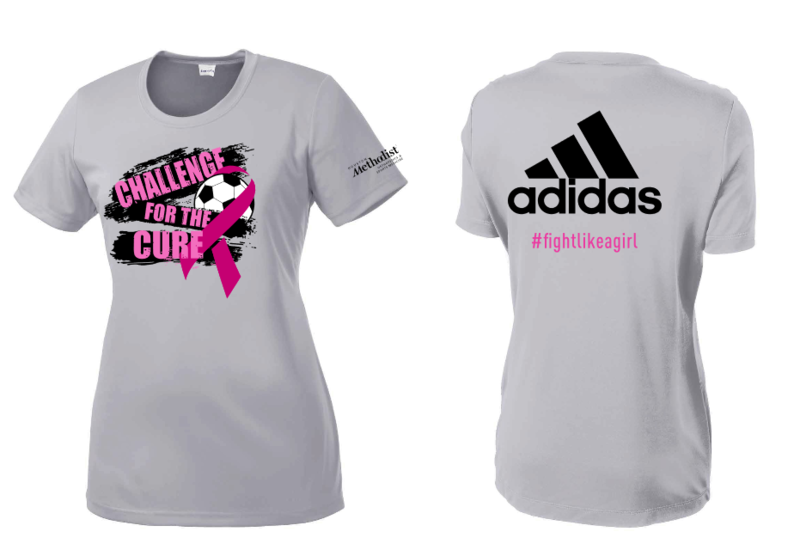 October is Breast Cancer Awareness Month and each year in an effort to raise raise money for the Challenge Soccer Club Cancer Education Fund - Methodist Willowbrook Hospital, we sell Challenge for the Cure t-shirts. 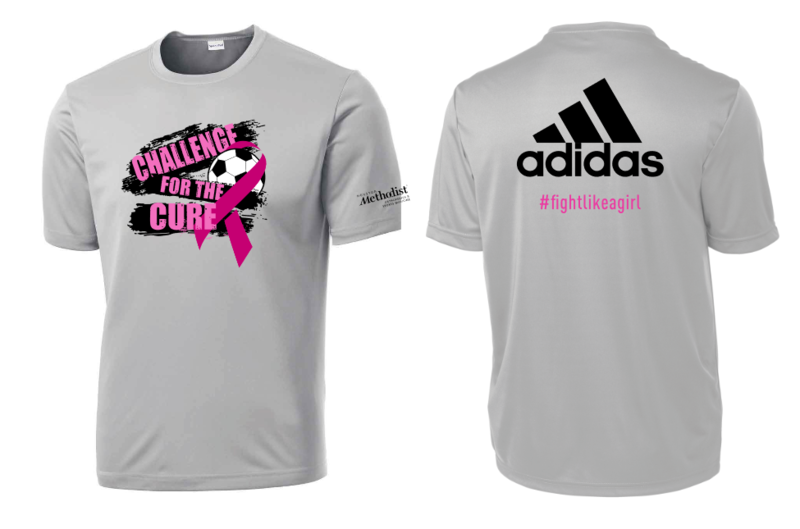 During the month of October, Challenge players can wear their CFTC shirt to practice and during warm-ups before games. Family and friends are welcome to purchase shirts as well, while supplies last. 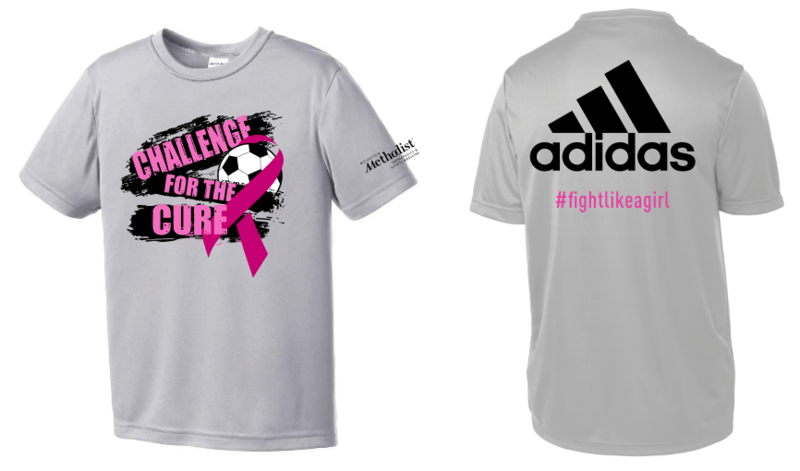 All monies raised will be donated to the Challenge Soccer Club Cancer Education Fund - Methodist Willowbrook Hospital. 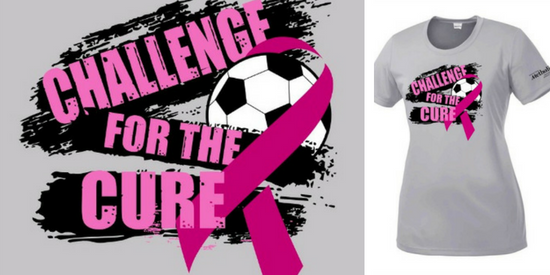 Since 2015, Challenge Soccer Club has raised over $28,000 for cancer research & education! With your help, we can raise an additional $10,000 for this worthy cause. ORDERS WILL BE ACCEPTED ON A FIRST-COME, FIRST-SERVE BASIS. SIZE CHANGES WILL ONLY BE MADE IF THE INVENTORY IS AVAILABLE!